Question: What do you say regarding the theory of the evolution of beings to which certain European philosophers subscribe? Answer. . . . Briefly, this question comes down to the originality or non-originality of the species, that is, whether the essence of the human species was fixed from the very origin or whether it subsequently came from the animals. 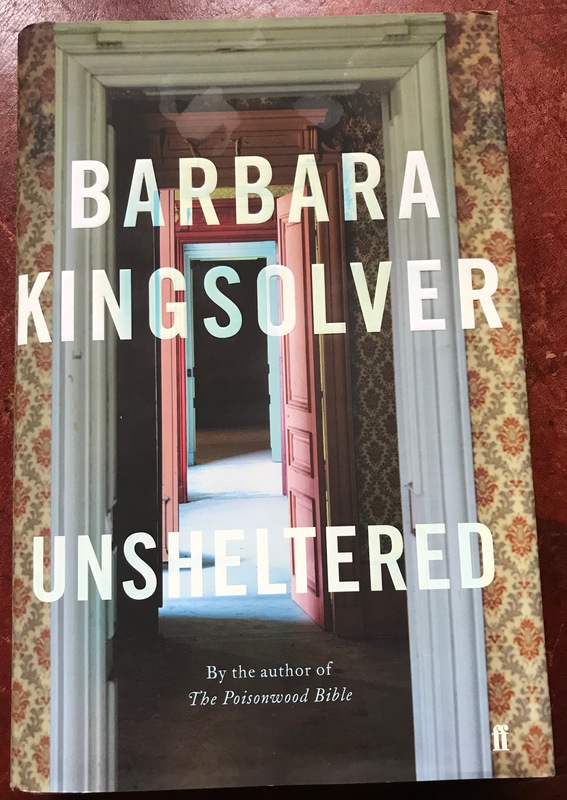 A friend recommended I read Unsheltered by Barbara Kingsolver. ‘If you only read one book in the next 12 months, let it be this one,’ he insisted. To be honest, of late I’ve not taken much pleasure in novels. I’m a bit stuck in the past. Apart from Nakhjavani’s The Woman Who Read Too Much,in recent days I’ve usually drawn a blank with anything later than Virginia Woolf. Not so this time though. 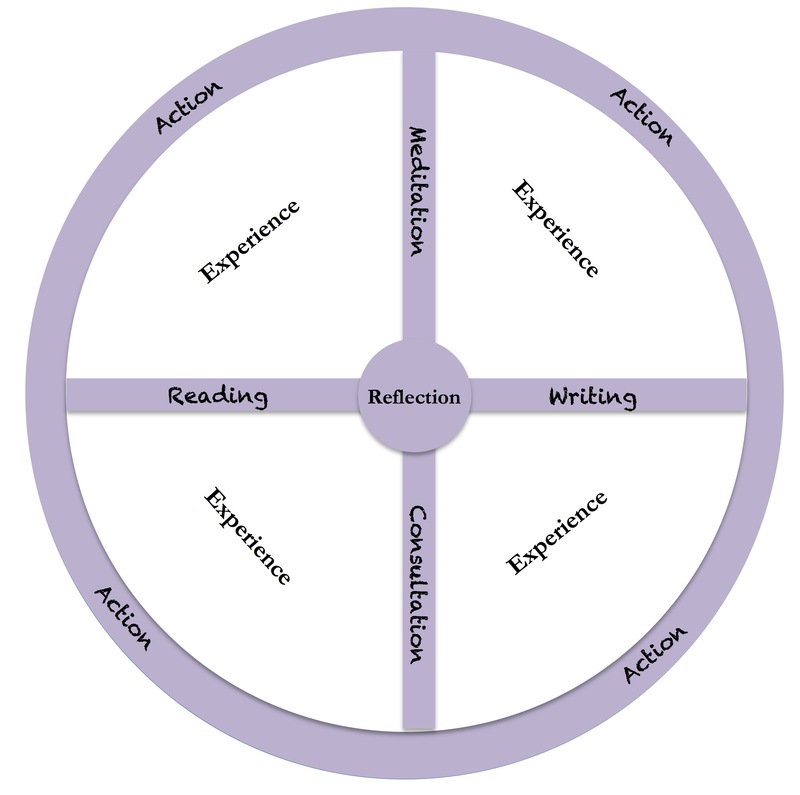 I recently battled to define the balance successful novels need to strike if they are to hold the reader’s attention. For me, they should ideally combine the capturing of consciousness with some form of interest-sustaining narrative, and it’s the echoes of the story and its implications that linger longest in the memory. If authors stray too far from some form of narrative it is possible they might diminish the long-term impact of their books on the reader. From the reviews I skimmed Unsheltered looked like it would manage to avoid that trap. I checked that my local Waterstones had a copy and dashed down there to get it. I hadn’t much time before I was due to meet my wife in town. I scanned all the shelves and was frustrated not to be able to find it anywhere. There was an irritating queue at the counter. I checked my watch. Fifteen minutes to go. I slotted in at the back of the queue. ‘Thank you for your help,’ the woman at the front enthused, as she struggled with her bags, purse and cards. ‘I’m really looking forward to reading this,’ she droned on as she was forcing the book into a spare corner of her M&S bag, dropping her points card on the floor as she did so. With relief I saw her pick up her card, stuff it back into her wallet and stagger out of the shop with her bags. The person in front handed over his paperback and was gone in seconds, thank God. ‘Can I help?’ the familiar face behind the till enquired, her hand poised over the keyboard as I approached with my notebook in hand. She knew me well enough to realise she might have an online search on her hands. I took a quick look behind me to see if anyone was waiting. Thankfully no one was. I’d’ve been as irritating as the bag lady if there had been, blethering as I was. She headed straight for the new stack I’d just searched carefully through. She found it within seconds. ‘So it wasn’t stored in alphabetical order,’ I said, feeling slightly embarrassed as it had obviously been in plain sight. Usually I would scan a £20 book before risking a purchase, but there was no time for that. ‘I do,’ I said at the same time as wondering whether this might be a big mistake. I had my points card and my cash in hand, paid for the book, picked it up, shoving my receipt hastily inside, fumbled it into the Waterstones bag I always carried with me and hurried to the exit. Time was running out, and so should I.
I couldn’t wait to get home. I didn’t contradict my wife when she supposed I had work to do. There was work, it was true, but I wanted to squeeze in an extra few moments to taste the opening pages. At first I thought I might have made a mistake. The opening didn’t grip me as I’d hoped. Dialogues about the state of a building aren’t my cup of tea. I had to get on with my work at this point and found it hard to stop beating myself up for wasting my money again by buying in haste a book I didn’t like. As soon as I could, I beat a retreat to an armchair with a coffee and the book. I needed to find out if I’d thrown my money away. Within 13 pages I was hooked. A death is almost bound to get my attention. I could barely put it down. Every spare moment after that I stepped back into the double worlds of this enthralling novel. 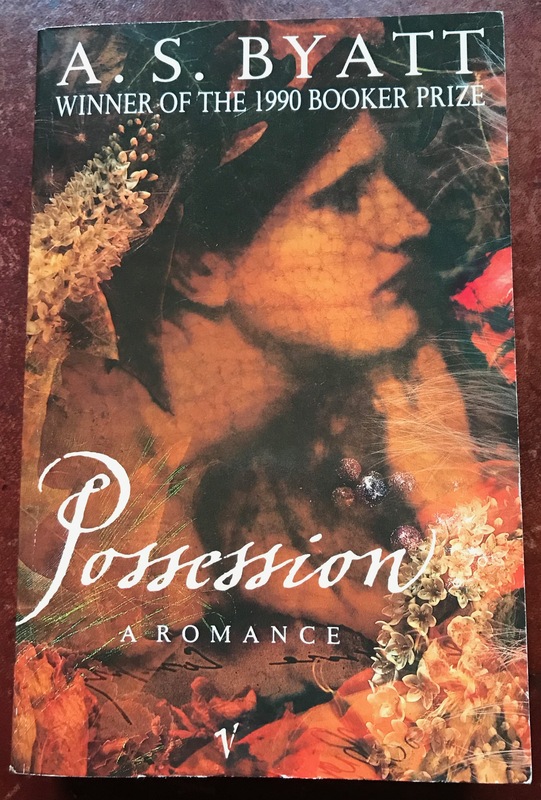 The stepping between the past and present reminded me of A S Byatt’s Possession, though the themes are different. Kingsolver is more concerned with how the two periods in history echo each other: bigotry, inequality, denialism and so on. In terms of the nineteenth century story line, Darwin’s theory of evolution and the passionate resistance to it are a main thread. In terms of the twentieth century it’s our similar and far more potentially threatening commitment to unsustainable economic growth. Within four days of buying it I had finished it. I was scribbling in my diary quotes from the closing chapters, so I wouldn’t forget them. This had not been the first such quote. Willa, the main contemporary character, ‘looked at the oak over their heads. 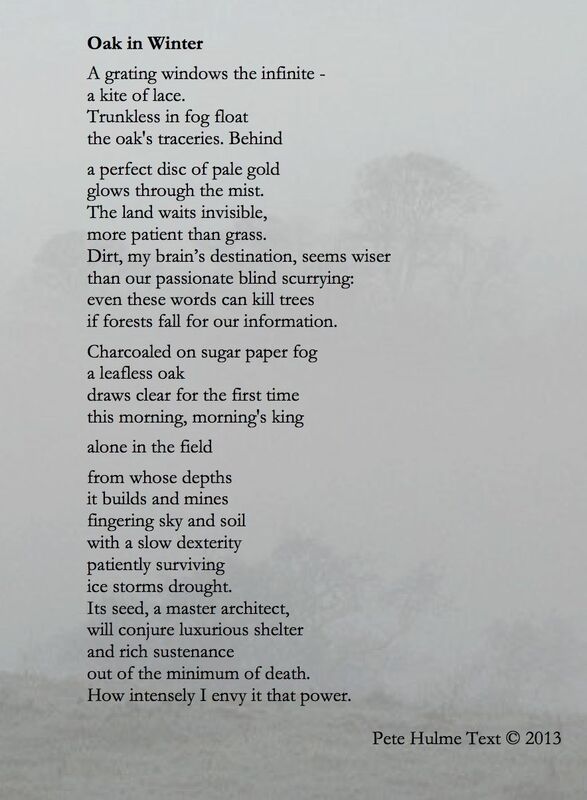 Its trunk was a monument to resilience and its branches to tenderness.’ That resonates with the part of me that wrote the poem Oak in Winter. I came to feel a powerful affinity with trees. It was as though at some deep level I feel as though I am a tree, an image of myself I need to hold onto. It represents patiently and resiliently operating in a long time scale, rooted in the earth but reaching after the sun – in effect constituting a kind of bridge between earth and heaven, something we all have the potential to be. Now that I have finished the book, and am experiencing that strangely bereft feeling that comes when you can’t step back into the fascinating world of a superb fiction, I find myself taking stock. I thought I had made it clear to myself that from now hearticulture is my calling. I thought that would make it easy to decide what I needed to do and what would be a waste of time. 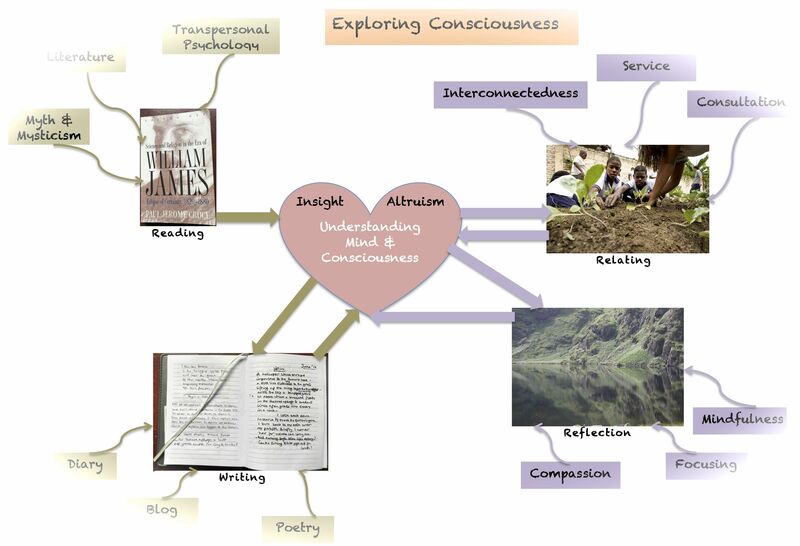 I began to wonder whether all this might be a sign that I wasn’t completely on board with my hearticulture plan in the context of my Bahá’í convictions, as I’d fooled myself into believing I had. Was I now calling my calling into question? Perhaps I still haven’t found out what, given my current levels of energy, I should be focusing my time on for the rest of my life, over and above the obvious commitments I have. Where was all this taking me? 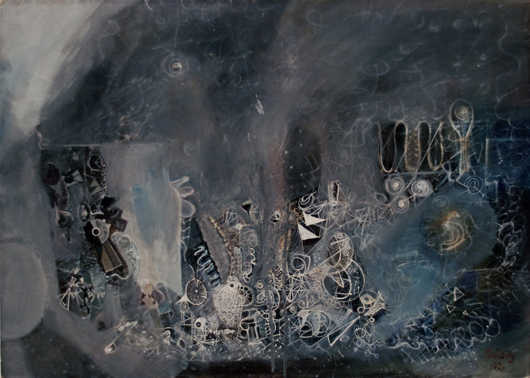 [In art] what is important is not only the subject matter but also the way it is treated; not only the cognitive and emotional content manifest in the work of art, but also, and especially, the effect such content is intended to have on the knowledge and the feelings of the participant. 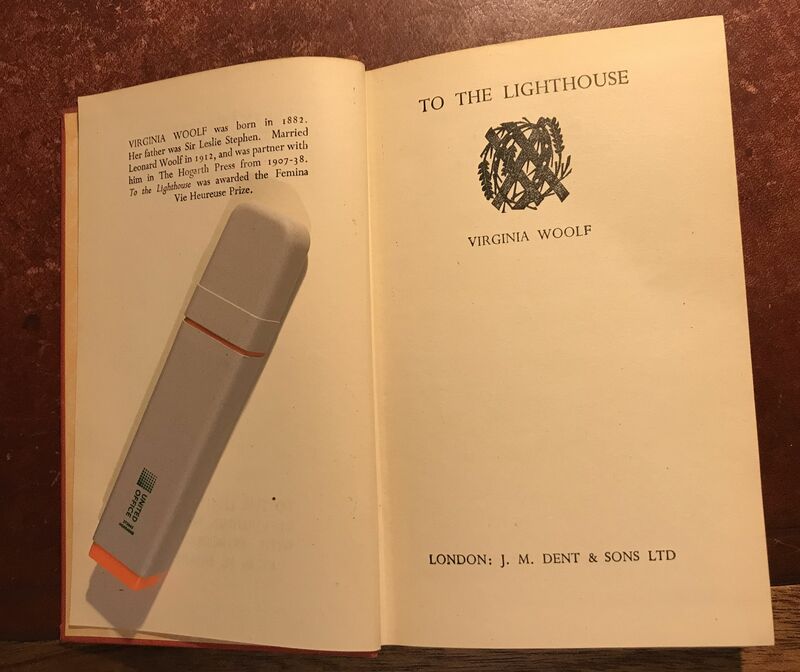 In a previous sequence of posts I came to the tentative conclusion that Virginia Woolf was attempting, in her later fiction, to capture our consciousness as effectively as she could in words. I didn’t follow this up immediately or systematically, as I had thought I might. Nothing new there then. Instead, for reasons I’ll explain at the end of this post, I accidentally stumbled across another book that added weight to my conclusions. 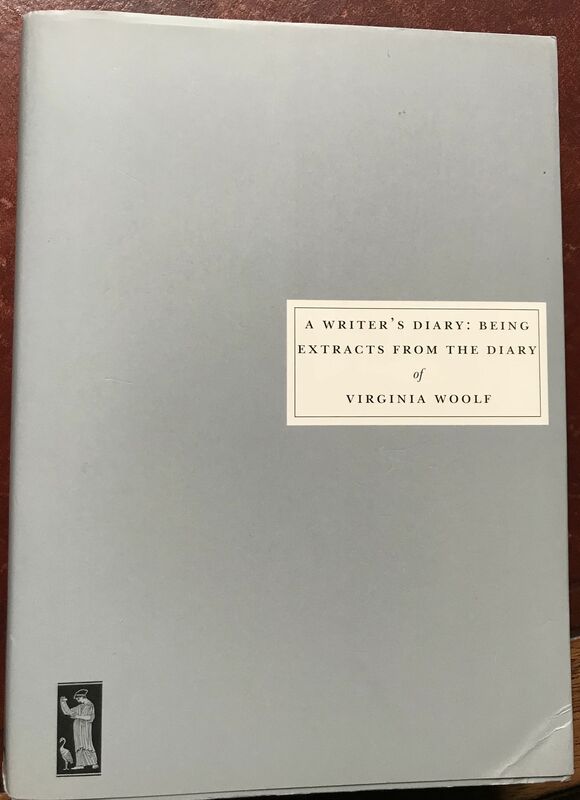 In 1920,… Virginia Woolf announced in her diary: ‘I have finally arrived at some idea of a new form for a new novel.’ Her new form would follow the flow of our consciousness, tracing the ‘flight of the mind’ as it unfolded in time. . . .the head holds a raucous parliament of cells that endlessly debate what sensations and feelings should become conscious… What we call reality is merely the final draft. He adds that, in To the Lighthouse, the character Lily notes that every brain is crowded with at least two different minds. We’ll catch up with that idea again in a minute when I come to discuss Pessoa. Just in case you feel I’m cherry-picking, I have another source that points in basically the same direction This is the introduction by Elaine Showalter to Mrs Dallawoy (Penguin Classics Edition). 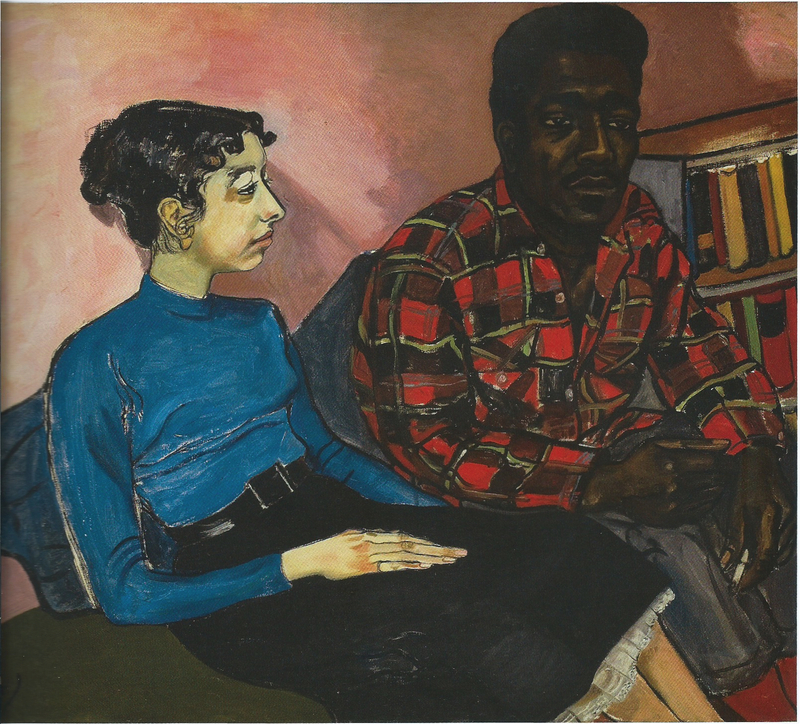 … it can be said that in trying to show us her characters from a variety of embedded viewpoints rather than from the fixed perspective of the omniscient narrator, Woolf ‘breaks up the narrative plane… as the Cubists broke up the visual plane. [Her narrative technique] can deepen our understanding and compassion for Woolf’s characters in the way an Edwardian omniscient narration might not achieve. I think this may act as an unintended discount of the power of free indirect speech, an approach originally pioneered by Jane Austen in English, but also used brilliantly by Ford Madox Ford in his novels The Good Soldier (1915), and the Parade’s End tetralogy (1924–28). Still her point is none the less a valid one as the Edwardian era technically ended in 1910. 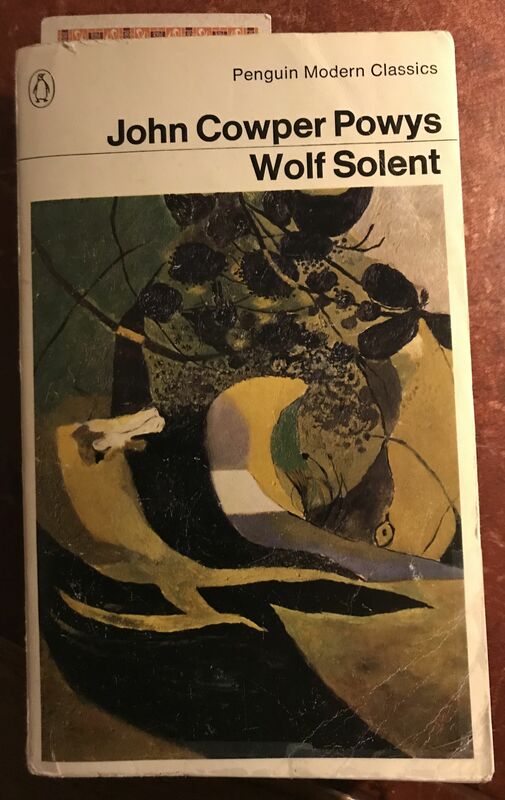 Woolf’s writing exposes the fact that we are actually composed of ever-changing impressions that are held together by the thin veneer of identity. [T.S.Eliot] believed that the modern poet had to give up the idea of expressing the ‘unified soul’ simply because we didn’t have one. I’ll come back to my doubts about that later in the sequence. I felt after my posts on her later novels that I would be exploring Virginia Woolf more. However, I found myself drawn instead to the inscapes of three poets who have always intrigued me: Machado, Pessoa and Rilke. This was triggered by the book I acquired on my India trip: The Forty Rules of Love. My earlier blog post explained how reading that book impelled me to feel that I should revisit spiritual poetry. I really thought I was onto a theme that I would stick with. Why wouldn’t I? For a start there is a lot about death. For example, Machado’s young wife’s death cast a long shadow over his life and led to some of his most powerful poetry. One short example will have to suffice. I have made a fairly literal translation of it here. death came into my house. it tore something most delicate. the thread between those two. 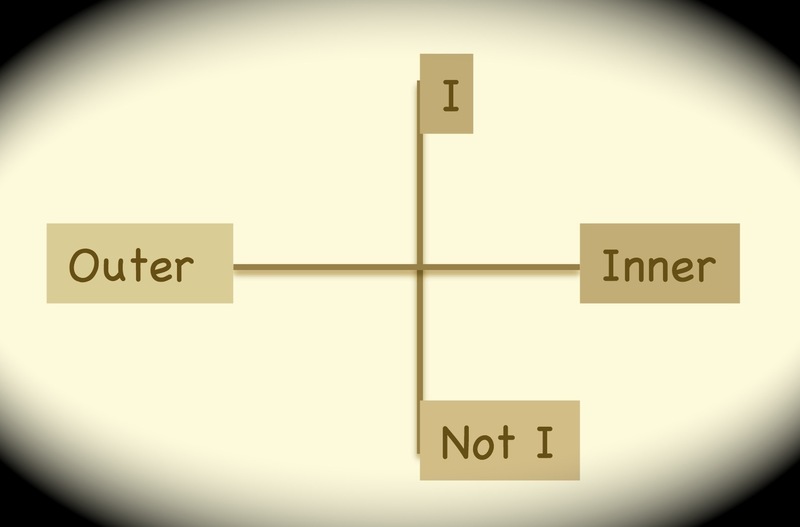 It is simple but, in my view, profound. The same is true for much of his poetry. There are other examples of my attempts to render him in English elsewhere on my blog which seem to suggest that he was grappling constantly with the need to find meaning in his pain, another bonding influence for me. Apparently, Pessoa considers the heteronyms to be expressions of an inherent and deeply divided self. In fact, one of the principal themes of Pessoa’s poetry is the obscure and fragmentary nature of personal identity. My only real concern has been my inner life. I have a world of friends inside me, with their own real, individual, imperfect lives. I bore the weariness of having had a past, the disquietude of living the present and the tedium of having to have a future.
. . . today I woke up very early… suffocating from an inexplicable tedium.… It was a complete and absolute tedium, but founded on something. In the obscure depths of my soul, unknown forces invisibly waged a battle in which my being was the battleground, and I shook all over from the hidden clashing. All poets can do harm to their fellow men and women in their own way; although Berryman subscribed … conscientiously… to the doctrine of our needs and duties… he created social and mental havoc on a scale which makes Rilke’s withdrawal from the usual demands of love and marriage seem – as indeed it was – a scrupulous necessity for his survival as a poet, a way of exercising his own sort of moral humanity. Rilke remained deeply attached to his wife and daughter, in spite of the fact that he could not and did not live with them, and was always anxious for their welfare. 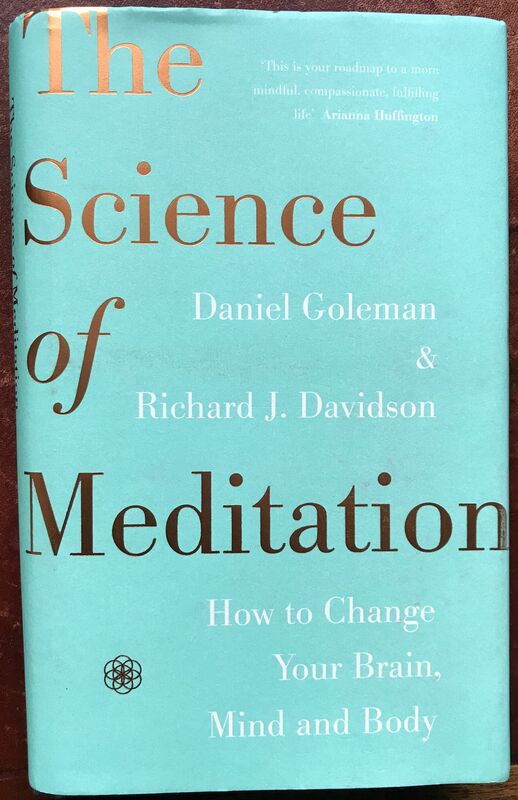 Just as this fascinating exploration was getting off the ground, decluttering led me to discover two long neglected books in what turned out to be a fatal derailing of my plan. Did I hear someone echo Lady Macbeth, whispering ‘infirm of purpose’? 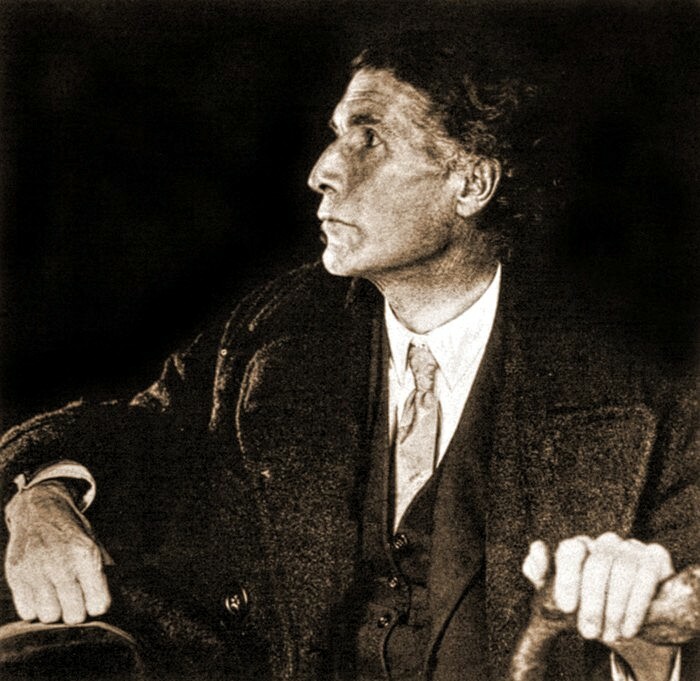 Next time I’ll try and explain why the distraction of Samuel Beckett, in Cronin’s biography, and Marcel Proust, in a chapter of Lehrer’s book, turned out to be so hard to resist, after my attempt at decluttering brought them to light again. I was checking to see if my not having read them for years meant that I could take them to the charity shop. As soon as I opened them I was doomed to read them from cover to cover. But further exploration of that will have to wait a while. I thought that the poetic element was not the word in its phonic value, nor colour, nor line, nor a complex of sensations, but a deep pulsing of spirit: what the soul supplies, if it does supply anything; or what it says, if it says anything, when aroused to response by contact with the world. 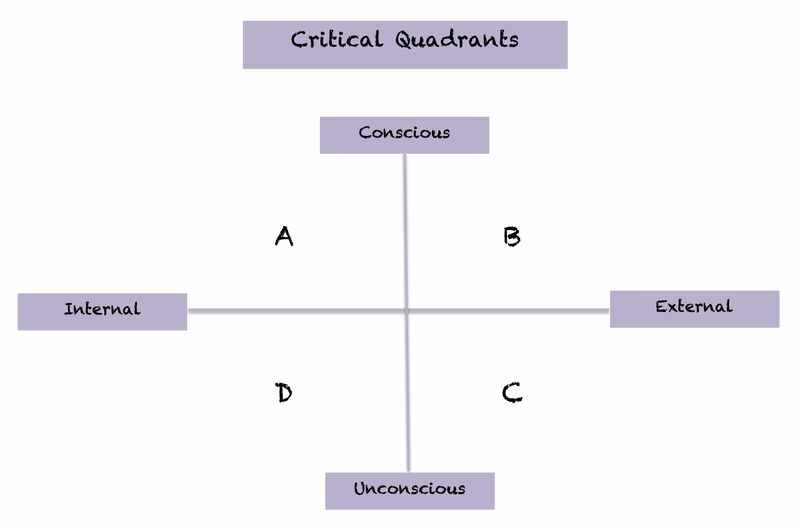 As a result of the trigger described in the last post, yet again I come to the same kind of realization, of an insight into the importance of the heart, so recently diluted yet again by my habitual over-emphasis on left-brain pragmatics and planning. As I have indicated in the previous post in more detail, I’ve been here before. 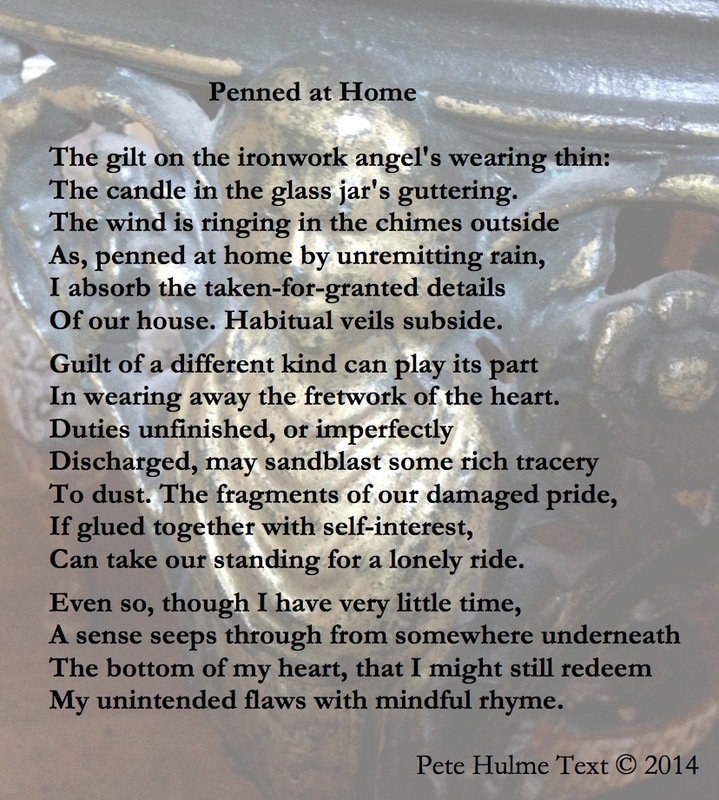 This poem explored similar material to that which I am about to explore but from a more tentative angle. Having worked out ‘how’ I want to do whatever I am doing, it looks as though I have been catapulted into being reminded of ‘what’ I need to bring more into focus. The book sent to me in the aftermath of an energizing conversation in Panchagani, with its themes of Rumi, poetry and The 40 Rules of Love, has forced me to recognize that spiritual poetry is something I need to read and if humanly (or do I mean Hulmanly?) possible write to keep my life in balance: at least that’s what it looks like right now. 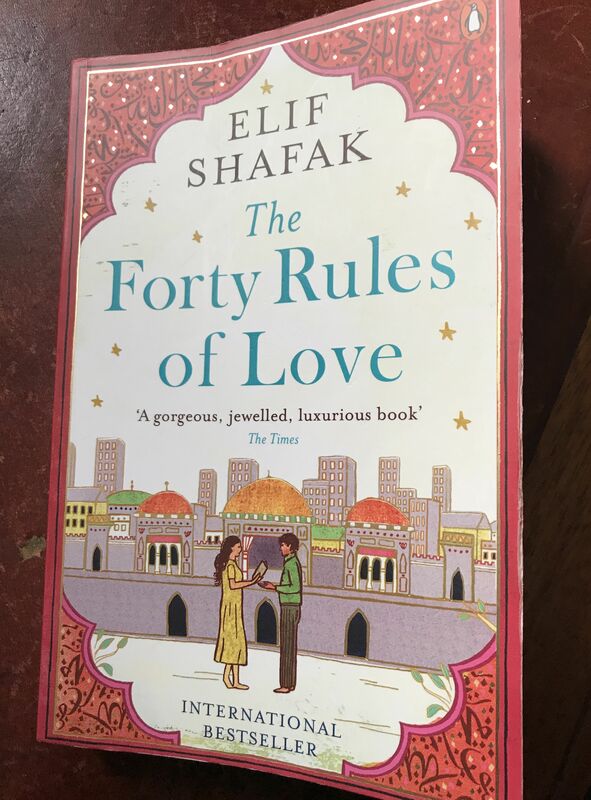 The 40 Rules of Love parallels almost exactly my encounter all those years ago with the dancing flames dream itself and more recently with the rediscovery of my dream notes and the consequent epiphany, which I kept consistently discounting in the aftermath. In some way, because of the prolonged discounting, its impact this time has been even more powerful. How am I going to break this pattern by which my left brain pragmatism and obsession with being useful keeps stifling my poetic heart until it almost dies. I must never let this happen again. I must keep poetry and song much closer. . . I can get carried away with practicalities and fail to keep the two kinds of operation in balance as I am convinced the Faith would have me do. And I am following this up by drafting this blog post to the strains of Beethoven in spite of the pressure to draft the minutes of a conference call yesterday. I have now had three powerful reminders – the dancing flames dream, the hearth dream and now The Forty Rules of Love – to emphasise how important poetry is to my spirituality, to nurturing my heart. Maybe my recent enthusiastic and rather protracted exploration of the poetic style of Virginia Woolf’s late novels was nudging me in this direction but I failed to realise it by convincing myself that my focus was on consciousness – not that I have lost my interest in consciousness, I hasten to add. Let’s hope it’s third time lucky! For now though, I am at least sticking to the spiritual poetry plan of reading and re-reading the books of that kind on my shelves as time permits, not at the expense of other priorities but persistently and mindfully. Revisiting David Gascoyne is proving very rewarding. I don’t think it’s going to be easy to keep focused and remain fully aware that spiritual poetry is something that really matters. It will be easy to forget that this may be a key to help me bring all parts of my being to bear on experience and my responses to it, and that it may be telegraphing one of the most important things I am meant to be doing with my time from now on, not to the obsessional exclusion of everything else, but not to be sacrificed for anything else either, if I am to bring out the best in myself and become more integrated, unified, standing on the ground of my being rather than floating on the surface of my mind. So, how is reading Gascoyne helping? 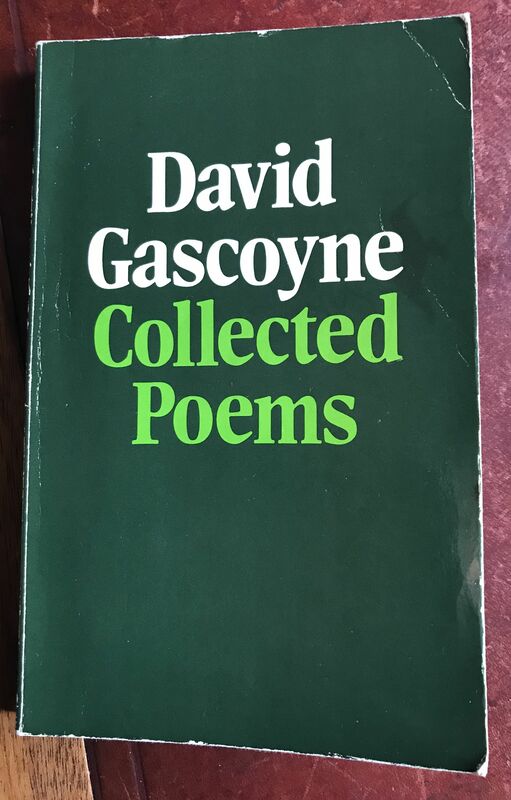 This is a simplified interpretation, but it makes it easier to see how Gascoyne’s romanticism, left-wing sympathies, surrealist tendencies, and concern to explore deep into the world of dream, obsession, and suffering, could lead him towards a fundamentally religious poetry. This is not done with arrogance or fanaticism. Skelton quotes from a poem I still remembered from my first reading of Gascoyne in 1982, just before I began to tread the Bahá’í path. Only the poem I can never write is true. As I began to read my way through the later pages of this collection I began to wonder whether I had seriously underestimated the influence of his poems on my eventual decision to tread the Bahá’í path. If poetry can do something so fundamentally important, it has clearly been a mistake to sideline it as severely as I have done at times. I have always been aware of Peter Koestenbaum’s influence and have drawn attention to it many times in these posts. I feel I have done Gascoyne an injustice that I now want to correct. What really set me thinking in this way was re-reading a poem from which I have always remembered key lines but whose whole context had slipped into partial oblivion. I say ‘partial’ because re-reading it strongly suggested that it had continued to influence me in its entirety, not just by the few lines I remembered consciously. 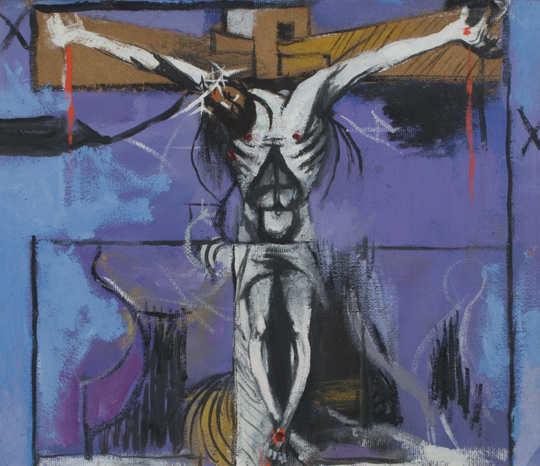 The poem is ‘Ecce Homo.’ Only once on this blog before today have I mentioned this poet, and that was to quote, without comment, from this poem. May not be in vain. Rising to raze them all as he foretold . . .
Why do I think he might have influenced my attraction to the Bahá’í Faith? Does that thought ring any bells among my readers? To the most devoutly religious people in Jerusalem in Jesus’s day. There is much more to his poetry than this, including his subtle and unnerving way of describing how minds work and how adept we are at avoiding uncomfortable truths, but this is probably enough for now. 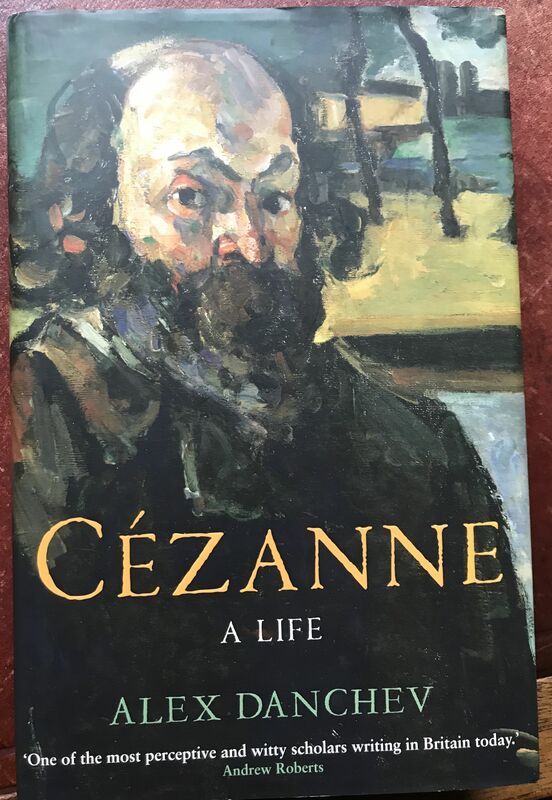 It is certainly enough to spur me on not only to finishing my re-reading of this collection, but also to embarking on revisiting many more of the long-ignored volumes of spiritual poetry on my shelves. To my surprise this has taken the shape of carefully re-reading the poems of Antonio Machado. Progress is slow as I’m not just relying on Trueblood’s excellent translations: I’m reanimating the corpse of my long neglected Spanish to soak up the sounds and the sense of the originals. More of that in due course, I hope.